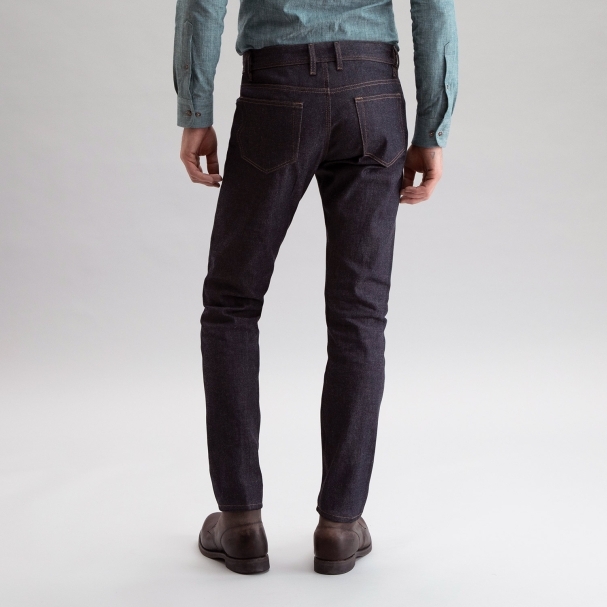 Indigo Nuevo Raw denim jeans are made from 12.5 oz. 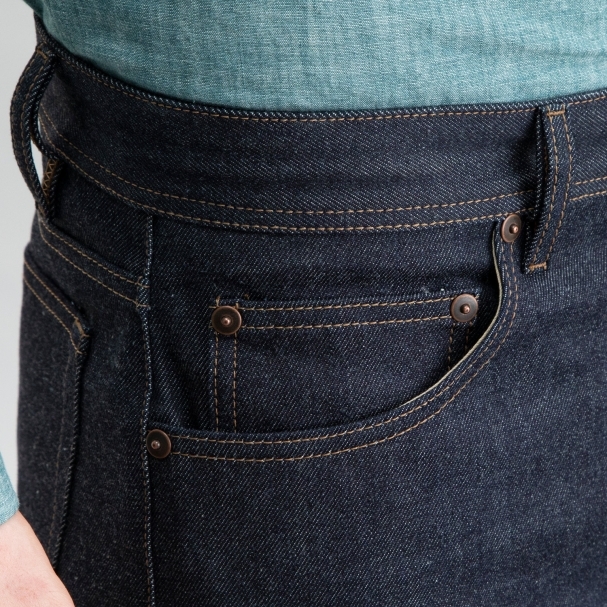 raw denim, the most common of year-round denim weights. 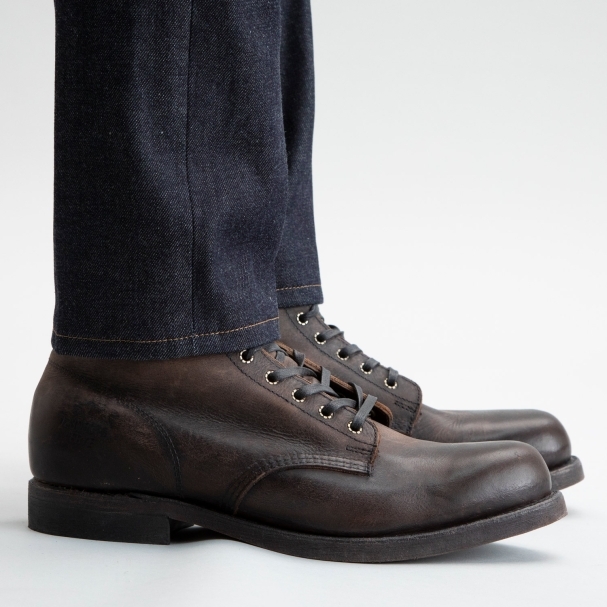 Its content is 99% cotton/1% stretch. This jean is raw, unwashed and stiff - best for men who understand raw denim and do not intend to wash the jean often. It will look and feel like a non-stretch jean, but has a touch of give for comfort. 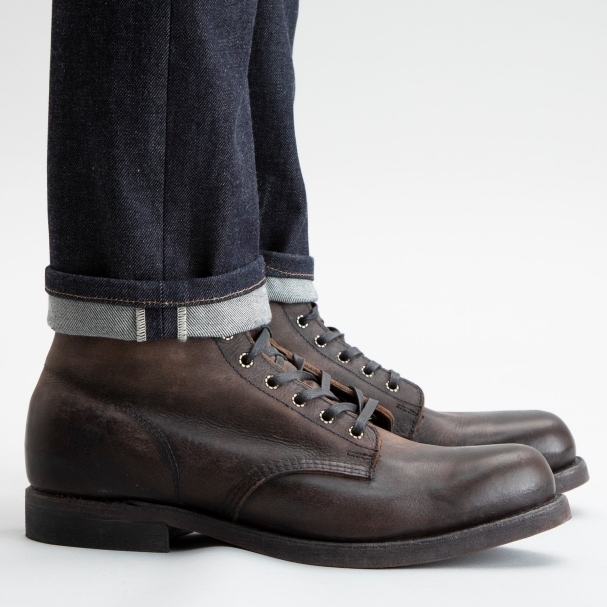 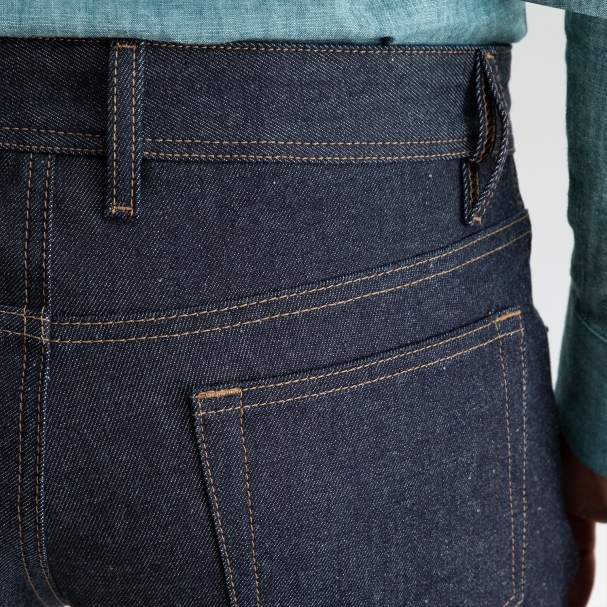 Indigo Nuevo denim comes from Japan's best denim mill (that's our opinion),based in Okayama. 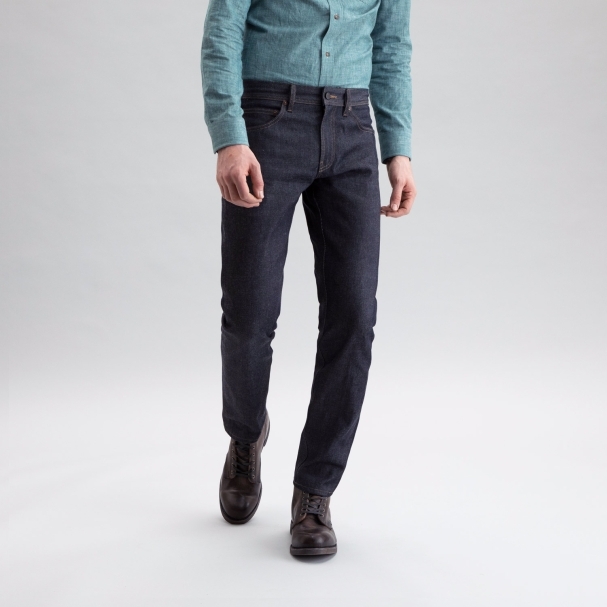 The mill has supplied us denim exclusively for the past decade, it's family owned and operated - they're true professionals and genuinely caring people.